7:00 PM - The Valley Katz performance on the First State Bank Stage. Sponsored by: Triple Service Plumbing, Heating, & Cooling. 10:30 AM - Food Booths featuring festival, ethnic, and regional delights, and a variety of Merchandise Booths, & First State Bank Kasasa Hospitality Tent open for the day. 11:00 AM - 1:00 PM - Dallas Stamberger will be playing a mix of 50s, 60s, blues & country in the First State Bank Kasasa Hospitality Tent. Sponsored by: Edward Jones. 2:00 PM - 4:00 PM - THE ACOUSTIX - performance in the First State Bank Kasasa Hospitality Tent. Sponsored by: Ekana Nursery & Landscaping. 4:30 PM - 6:30 PM - THE ACOUSTIX - performance in the First State Bank Kasasa Hospitality Tent. Sponsored by: The Mendota Moose Family Center. 7:30 PM - Sweet Corn Queen Pageant on the First State Bank Stage on Rt. 34 downtown with intermission entertainment featuring The Clef Hangers the first mixed a Capella group on the Illinois State University campus founded in 2008. Sponsored by: Eureka Savings Bank. 7:30 PM - 12:00 AM - Beer Garden featuring entertainment from Abbynormal. Sponsored By: Rosati's Pizza Pub & Euclid Beverage. ALL DAY - Magic Matt- Performing his Strolling Magic & Balloon Artistry downtown Mendota. Sponsored by: Kaleel Law Firm & Holland & Sons. ALL DAY - Youth division tennis tournament sponsored by OSF Saint Paul Medical Center. Tournament takes place at the Mendota High School tennis courts located at 2300 West Main St.
8:00 AM - “CornaPalooza” a 5K/10K Run & 5K Fitness Walk. The race starts/ends at Lake Mendota. Participants will encounter rural Mendota and its rolling hills & 1 mile of trail. Awards, giveaways & food provided for all those who participate. For more information, a registration form, or to register online, visit www.sweetcornfestival.com. Proceeds from this event benefit OSF Saint Paul Foundation. 9:00 AM - 5:30 PM - Crafters Market Place & Flea Market. Over 200 vendors in two locations. Veteran's Park on Rt. 34 in downtown Mendota and the Elks Club parking lot on Indiana Ave. & Jefferson St., just 1/2 block north of Veteran's Park. 9:00 AM - 2:00 PM - American Red Cross Blood Drive on the corner of Indiana Ave & Jefferson St. “Help fill the Blood Bank” is designed to encourage Americans to help save lives through regular blood donations. For an appointment, please call the American Red Cross at 1-800-GIVE-LIFE, ext. 5. 10:00 AM - Mini Royalty Pageant 5 year olds competing to wear the crown of Mini King & Queen of Mendota's Annual Sweet Corn Festival, on the First State Bank Stage on Rt. 34 downtown. Sponsored by: Plano Molding Company. Download Registration Form Here. 10:00 AM - 8:00 PM - Art Show & Sale featuring the work from artists within our local region inside of Setchell Studios on Washington St. Sponsored by: North Central Illinois ARTworks. 10:30 AM - Food Booths, featuring festival, ethnic, and regional delights, and a variety of Merchandise Booths, & First State Bank Kasasa Hospitality Tent open for the day. 11:00 AM - 1:00 PM - Nicodemus musical performance in the First State Bank Hospitality Tent. Sponsored by: Doors Unlimited Mendota. 12:00 PM - De Colores Folkloric Group brings an exciting performance where culture, art, dance and music make the perfect combination. Come see traditional dances from various regions of Mexico. The group will be performing on the First State Bank Stage on Rt. 34. Sponsored by: El Zarape & El Rey Del Taco. 12:00 PM - 2:00 PM Lica Lorraine will enchant people of all ages with her timeless balloon designs and sparkly personality! From amazing your child with their favorite animal or surprising your loved ones with hearts and flowers, she creates it all! At the intersection of Washington St. and 8th Avenue. Sponsored by: Central Bank Illinois. Washington St. & Indiana Ave. Sponsored by: Advanced Drainage Systems & Prairie Land Millwright. 12:00/2:00/4:00 PM - 3 Shows - Mr. Steve - includes music, magic, balloons and comedy all blended into wholesome family entertainment. Located on the corner of Illinois Ave. and Jefferson St. Sponsored by: McDonald's. 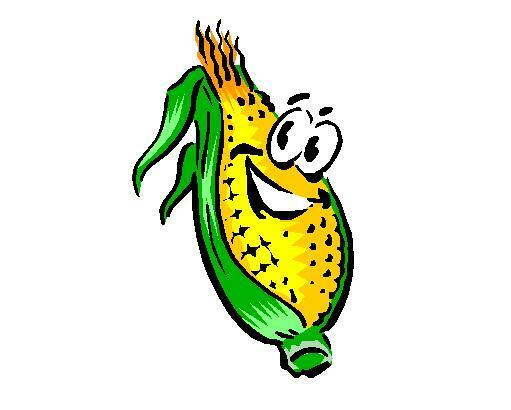 2:00 PM - Annual Sweet Corn Festival Food Contest. All categories of food must be made with sweet corn and prepared in advance. Judging will be held at 2:00 PM in the Mendota Elks Lodge, 707 Indiana Ave. downtown. Entry forms available at the Mendota Chamber Office or online at www.sweetcornfestival.com. Sponsored by: Ken Otterbach Excavating & Demolition. 2:30 PM - 4:30 PM - Steve Cerqua acoustic guitar performance in the First State Bank Kasasa Hospitality Tent. Sponsored By: China House Buffet. 3:00 PM - Ballet Folklorico Xochiquetzal will be dancing in their ancestors steps to dances from different states which all have different colorful wardrobe and unique steps on the First State Bank Stage on Rt. 34. Sponsored by El Zarape & El Rey Del Taco. 3:30 PM - Canine Demonstration coordinated by the Mendota Police Department. Located on Indiana Ave near the Mendota Elks Lodge. Sponsored by: Kurt Bruno State Farm Insurance. 6:00 PM - 8:00 PM – Diligent DJ Serivce LLC. will be taking your requests in the First State Bank Kasasa Hospitality Tent. Sponsored by: Bombshell Beauty Boutique. 7:00 PM - 9:00 PM – She’s A Maybe musical performance on the First State Bank Stage. Sponsored by: HCC Inc.
7:30 PM - 12:00 AM - Beer Garden featuring Big Uproar. Sponsored by: ADM Co. & G & M Distributors. ALL DAY - Magic Matt- Performing his Strolling Magic & Balloon Artistry downtown Mendota. Sponsored by: Schimmer GM. ALL DAY - Adult division tennis tournament doubles sponsored by OSF Saint Paul Medical center. Tournament takes place at the Mendota High School tennis courts located at 2300 West Main St.
9:00 AM - 5:00 PM - Crafters Market Place & Flea Market. Over 200 vendors in two locations. Veteran's Park on Rt. 34 in downtown Mendota and the Elks Club parking lot on Indiana Ave. & Jefferson St., just 1/2 block north of Veteran's Park. 12:00 PM - 2:00 PM - THE ACOUSTIX - performance in the First State Bank Kasasa Hospitality Tent. Sponsored by: First Federal Savings Bank. 12:00 PM - The Jesse White Tumblers special high-flying performance in front of the Mendota Elks Lodge on Indiana Ave. Sponsored by: Phalen Steel Construction Company, Mendoa Agri Products, & Midland States Bank. 1:00 PM - SWEET CORN FESTIVAL GRAND PARADE Featuring floats, bands, antique & classic vehicles, Shriners, and more! Special highlights include The Jesse White Tumblers and The South Shore Drill Team. 2:00 PM - FREE SWEET CORN! Del Monte's finest served steaming hot! Served at the intersection of Illinois Ave & Jefferson St.
2:00 PM - 3D Sound will be providing entertainment & music at the intersection of Illinois Ave & Jefferson St. Sponsored by: Midland States Bank. 3:00 PM - 5:00 PM - THE ACOUSTIX - performance in the First State Bank Kasasa Hospitality Tent. Sponsored by: George's Lawn Care & Landscaping. 3:30 PM - The South Shore Drill Team will perform in front of the Mendota Elks Lodge at 707 Indiana Ave. You have watched them in the parade, don’t miss this very special performance! Sponsored by: Black Brothers Co., Financial Plus Credit Union, Prescott Brothers Inc., & Starved Rock Wood Products. ALL DAY - Magic Matt- Performing his Strolling Magic & Balloon Artistry downtown Mendota. Sponsored by: Merritt Funeral Home and Walter Bros Plumbing, Heating & Cooling. ALL DAY - Adult division tennis tournament singles sponsored by OSF Saint Paul Medical Center. Tournament takes place at the Mendota High School tennis courts located at 2300 West Main St.